The competition featured top math students from two and four-year schools in the region competing as teams and individuals. 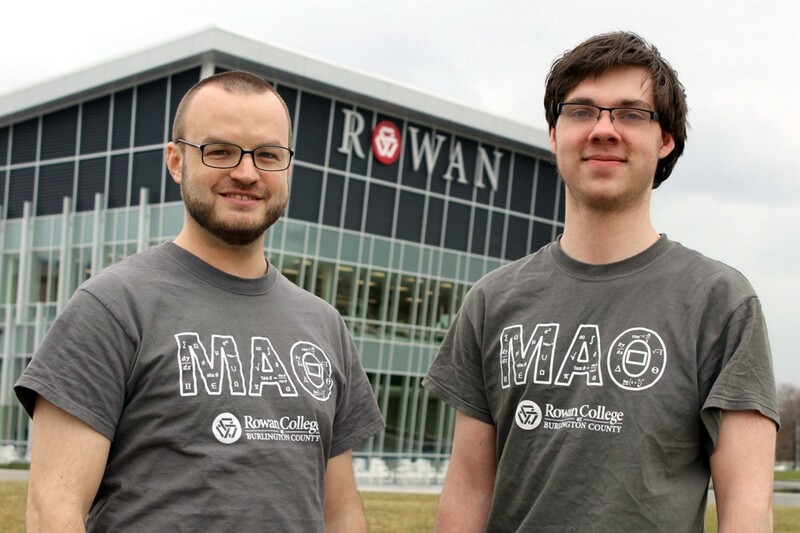 In advance of the Garden State Undergraduate Mathematics Competition, Rowan College at Burlington County Math Instructor Jonathan Weisbrod helped prepare students, including Liam Doherty, of Mt. Laurel, who tied the record for the highest an RCBC student has ever placed in the individual portion of the competition. Rowan College at Burlington County students earned distinction at this year’s Garden State Undergraduate Mathematics Competition, which featured top math students from two and four-year schools in the region competing as teams and individuals at Rowan College at Burlington County’s Mt. Laurel Campus. Mt. Laurel’s 16-year old Liam Doherty tied the record for the highest an RCBC student has ever placed in the individual portion of the competition. He placed ninth out of 77 students. In addition, he received an Outstanding Student Talk Award for his research presentation on the Physical Applications of Fourier Analysis during the Garden State Undergraduate Mathematics Conference poster session. Doherty will be receiving his high school diploma from Burlington County Institute of Technology this spring and is already working full-time at Radwell International as an electronics technician. He earned a scholarship to attend Rowan University and will start his junior year at the university this fall. His goal is to complete his master’s in math by 20 years old, eventually earn a doctorate, and work in scientific research. Along with his teammates, Doherty and RCBC students Anna Wilson, of Shamong, and Sean Heffernan, of Southampton, won Best Team from a Two-Year College. Overall, the team ranked 14th out of 28. RCBC students have won this award twice in the past three years. RCBC’s other teams had admirable showings as well. The team of Gaspare Carollo, of Marlton, and Daniel Kellaway, of Burlington Township, who also placed 16th in the individual competition, placed second among two-year schools and ranked 16th overall. Margaret Doyle, of Marlton, Cheyanne Kelly, of Burlington City, and Simran Kaur, of Willingboro, placed third among two-year schools and ranked 22nd overall. The undergraduate conference was part of the Joint Spring Meeting of the Mathematical Association of America’s New Jersey Section and the Mathematics Association of Two-Year Colleges. It was held at RCBC’s Mt. Laurel Campus for the first time and included three keynote addresses, a panel discussion, a workshop, an undergraduate poster session, two undergraduate oral presentation sessions, two special contributed sessions, and the New Jersey Undergraduate Mathematics Competition.